Datuk Paul Chua, Secretary-General of WBPF warmly welcomed Sayad Salama Hassan of Egypt and introduced him to the Congress on 6th December 2012 in Bangkok, Thailand. During the tea-break we took a group photo together with Axel Bauer (Vice-President for Europe), Hussain Alsaffar (Treasurer), Datuk Paul Chua, Chodney Roland, President of New Caledonia, Sayad Salama Hassan (Delegate at Large for Middle East and North Africa), Mohd. Abdulrahim (Chairman of of the Science & Research Committee), Walter den Branden (Chairman of the Judges Committee) and Patrick Mounier (Chairman of the Technical Committee). Sayad Salama Hassan is an old friend of Datuk Paul Chua they met several times over the past years together with the late President Abd. El Hamid El Guindi of Egypt. 1. THE WBPF SILVER MEDAL for his immense contributions towards bodybuilding and physique sports in Thailand and South East Asian regions. 2. Boontham Sriboontong is the first recipient of the ABBF/WBPF COACHING Certificate in Thailand. He is a man of few words but his passion and devotion for the sport in unquestionable. The WBPF recognises his hard work and dedication and presented the Certificate of Coaching to him at the Opening Ceremony at the world event. Patrick Mounier a member of the New Caledonia federation was re-elected as the Chairman of the WBPF Technical Committee. 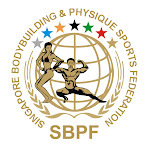 His vast contributions and devotion to the sport of bodybuilding and physique sports was recognised by his old friend for over 30 years Datuk Paul Chua, Secretary-General of WBPF. Deputy Prime Minister and President of the Thailand Olympic Committee General Yuthasak Sasiprapha presented Patrick Mounier the Gold Medal on behalf of WBPF at the opening ceremony on 7th December 2012. 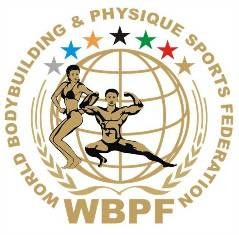 President Lutsak Valeriy and his team are geared to organize the 4TH WBPF European Bodybuilding and Physique Championships in the city of Kiev, Ukraine from 24 – 27 May 2013. WBPF Ukraine has the infrastructure and ability to organize a grand competition and they are one of the top European countries with most athletes. More information soon.